The weather became worse and birding more difficult so we called into Sabkhat Al Fasl as you can bird some of this area from the car. The birds were few and far between here due to the poor weather but we still saw a few reasonable birds. The large group of Large White-headed Gulls, where still in the same favoured area as they have used for the last few weeks but nothing unusual could be located with them. Most gulls as always were Steppe Gulls (70%) but more Caspian Gulls had joined them since last time (20%) and the rest were Heuglin’s Gulls (10%). 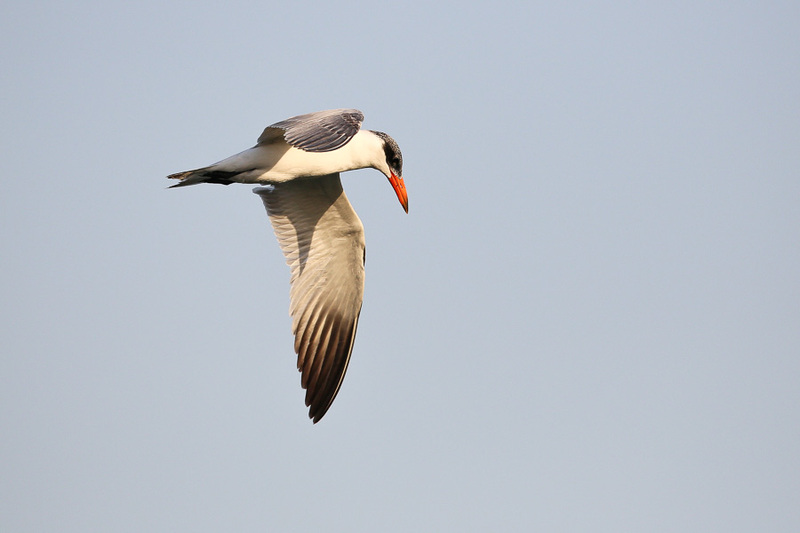 Other birds amongst the flock were several Black-headed Gulls and a single Caspian Tern. Seven Western Marsh Harriers were the only birds of prey seen. 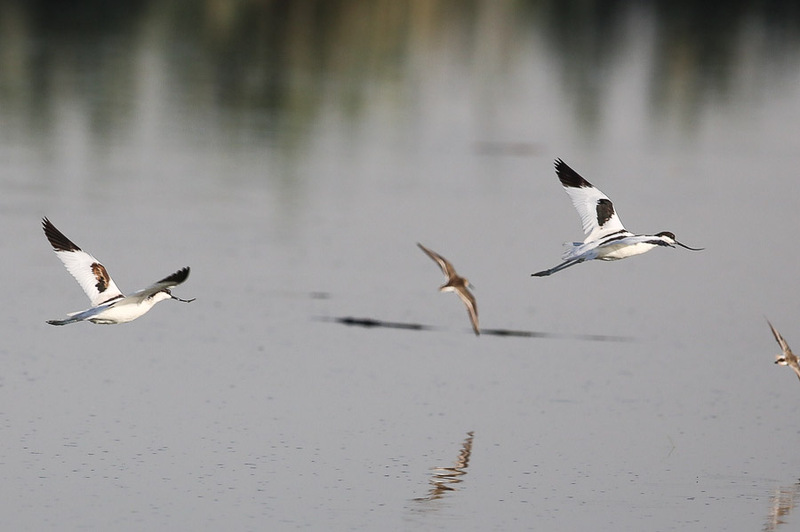 Six Purple Swamphens, ten Common Moorhens and several Common Snipe were seen on the scrape areas and the flooded sabkha had 400+ Pied Avocets, eight Common Shelducks and 2000+ Greater Flamingos. The best bird of the visit was the last bird seen and was a really smart adult male Caspian Stonechat ‘variagata’. These are the palest of the regions Stonechats and show considerable amounts of white in the spread tail, recalling a Northern Wheatear in pattern. The amount of orange on the breast is also restricted.